Rent CHAMBERS eat + drink | Corporate Events | Wedding Locations, Event Spaces and Party Venues. CHAMBERS eat + drink, the new restaurant and lounge at San Francisco’s iconic rock n’ roll hotel, the Phoenix, favors a similar approach, with a menu, décor and ambiance that is equal parts substance and style. At CHAMBERS, Executive Chef Yosuke Machida has created a seasonal, market-driven menu that balances California provenance with influences from Japan, the Mediterranean and France. CHAMBERS’ food is complemented by two indoor bars and San Francisco’s only poolside patio, featuring several no-reservations-required cabanas and a custom fire feature. Located in the heart of the SF design district, within blocks of both Hwy 101 and Hwy 280, Mighty boasts a 6,000 square foot expanse of beautiful hardwood floors, 22ft high ceilings, exposed brick walls, and gigantic wood pillars and beams throughout. 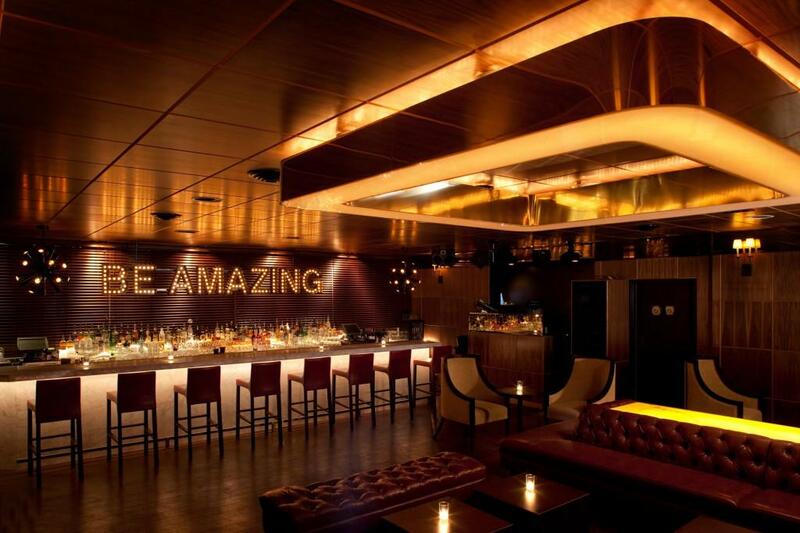 Two solid steel bars frame the main room and one of the dj booths sits on a balcony suspended above the main bar. Adding another unique touch to the venue are the bathroom facilities, which feature stunning green onyx counters and ceiling-height mirrors.